Picture wish Sakura are from ch 147 of manga. 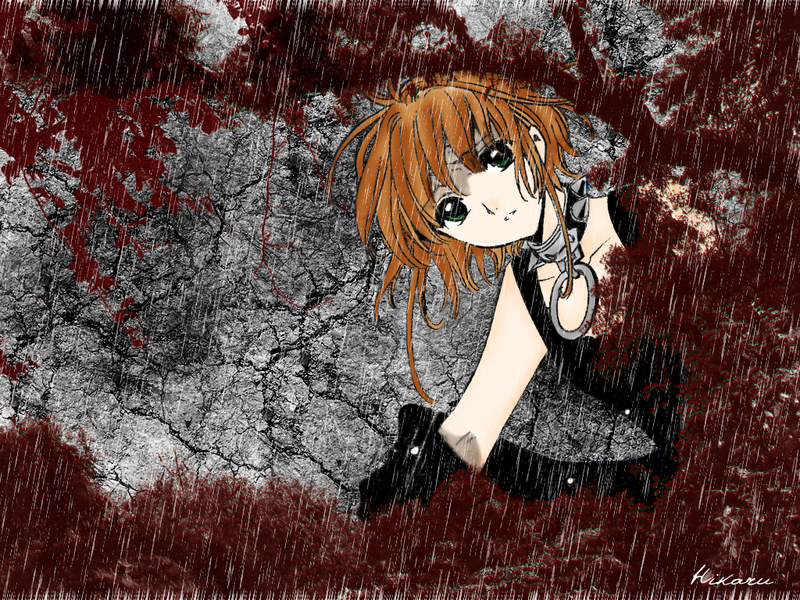 And again Sakura was colored by me. I really like the trees/grass, and that particular Sakura look. The rain itself looks odd though, it certainly looks like rain, but the white streaks just seem a bit off with the rest of the bg. even if sakura turned into a FULL DEPRESSED EMO (hope that doesn't happen) she would STILL look like an angel! How does she pull it off?